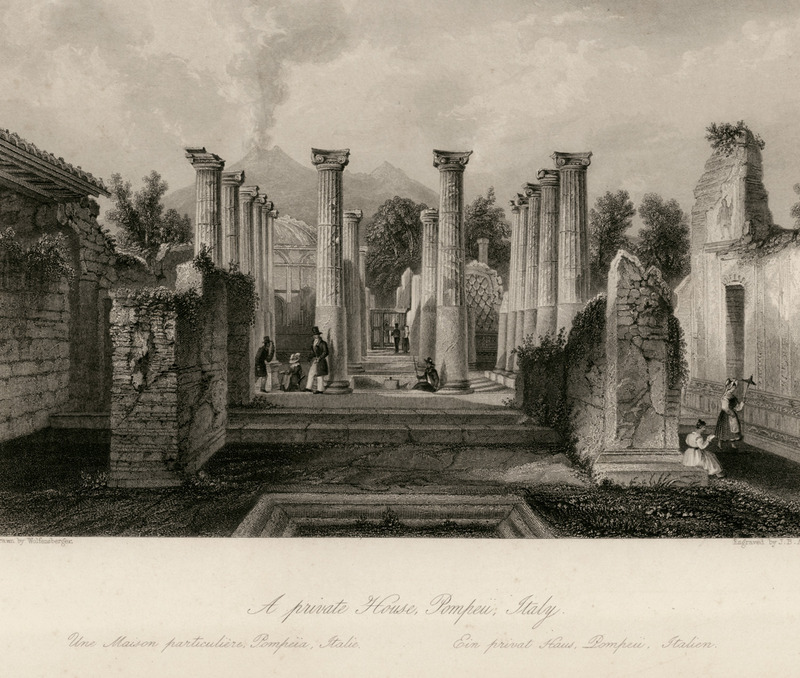 A private house, Pompeii, Italy. 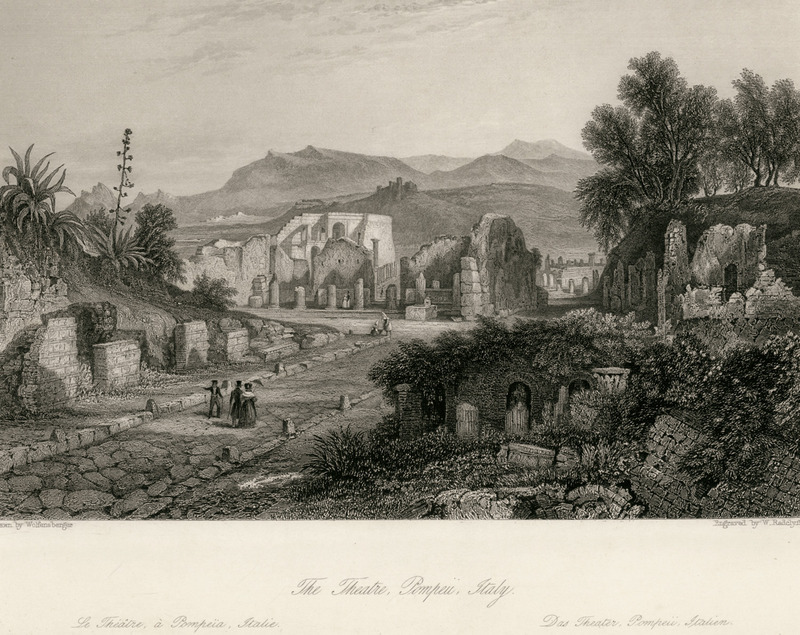 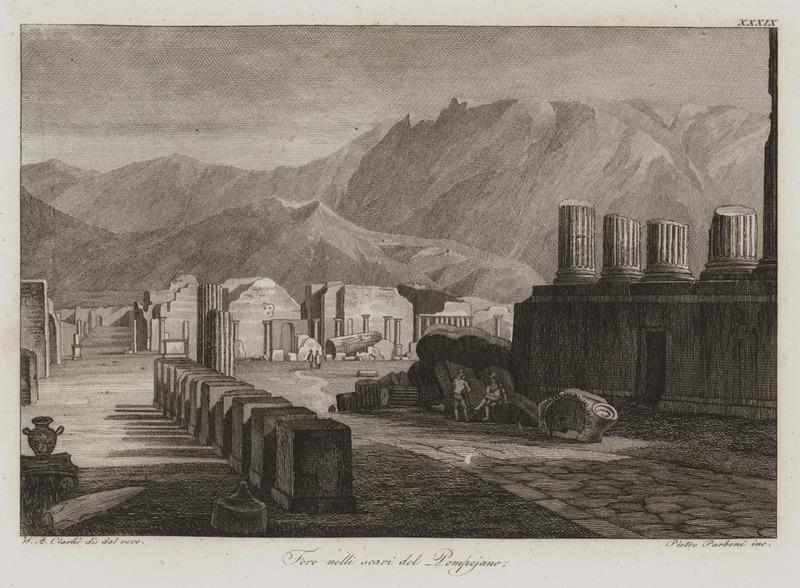 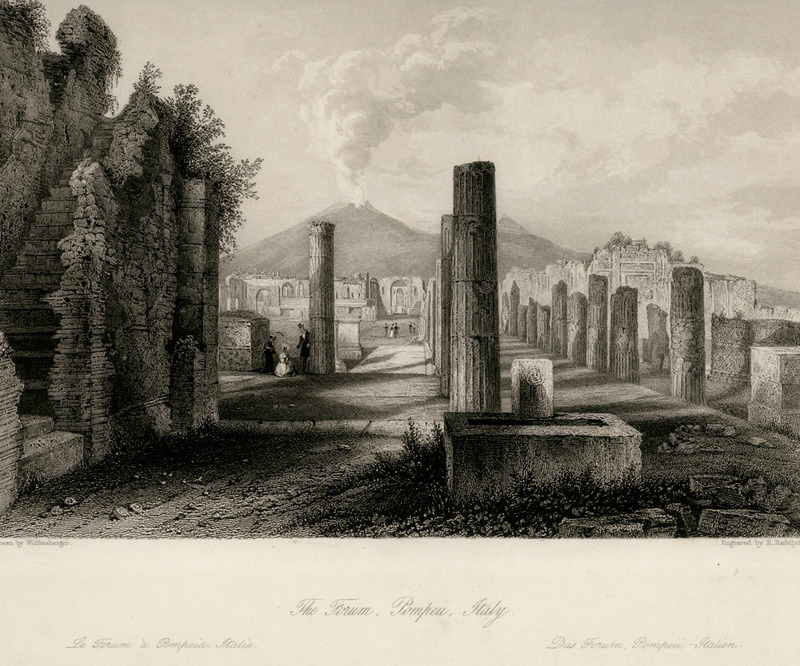 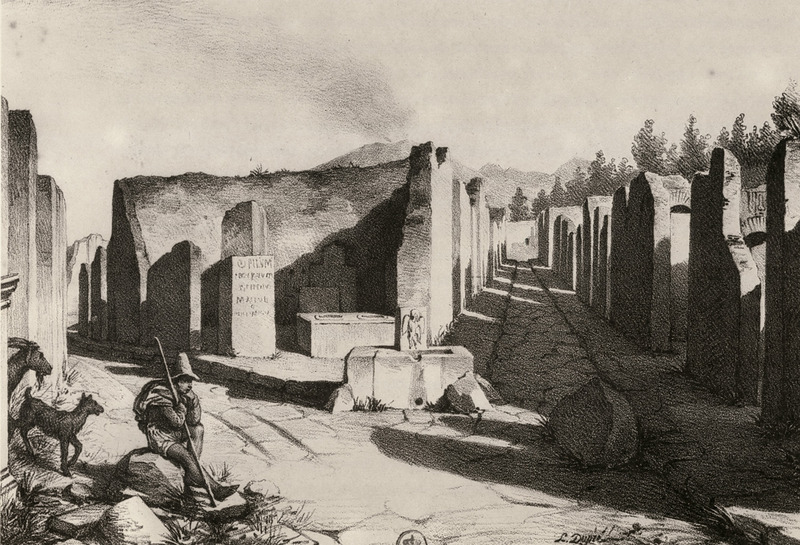 View of Pompeii, by Louis Dupré. 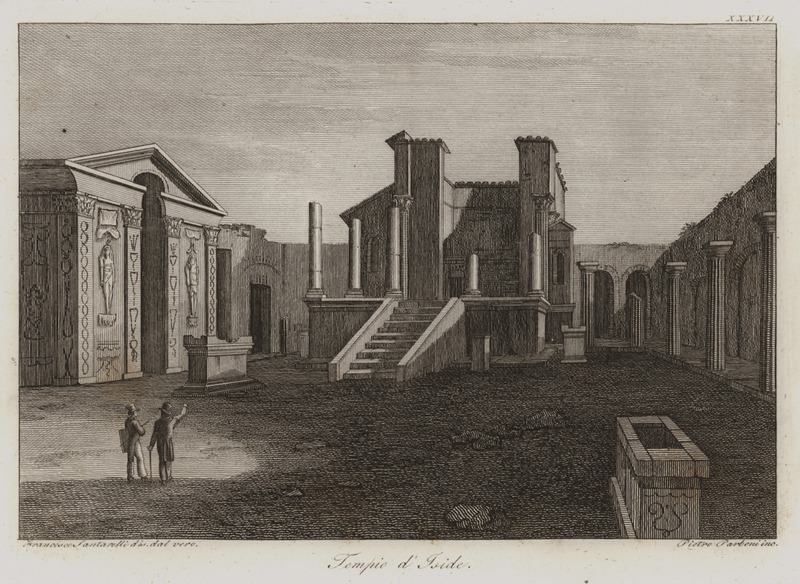 The temple of Isis in Pompeii. 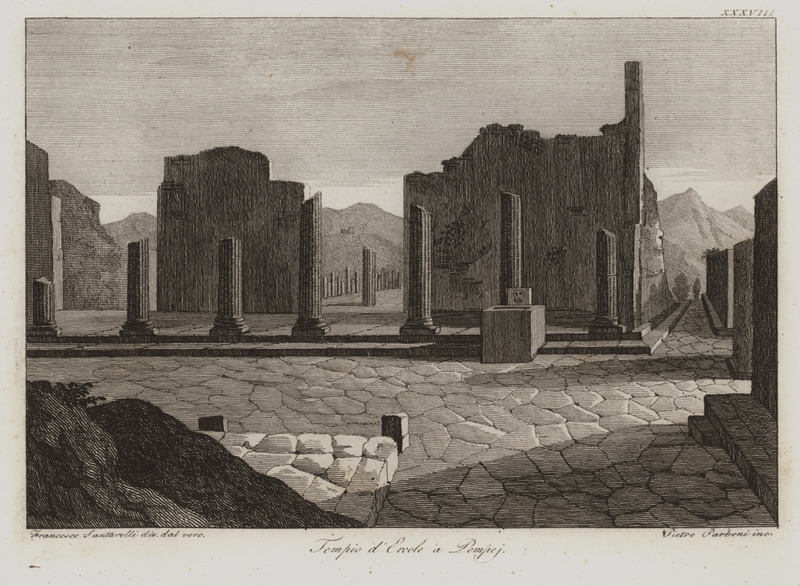 The Doric temple of Pompeii. 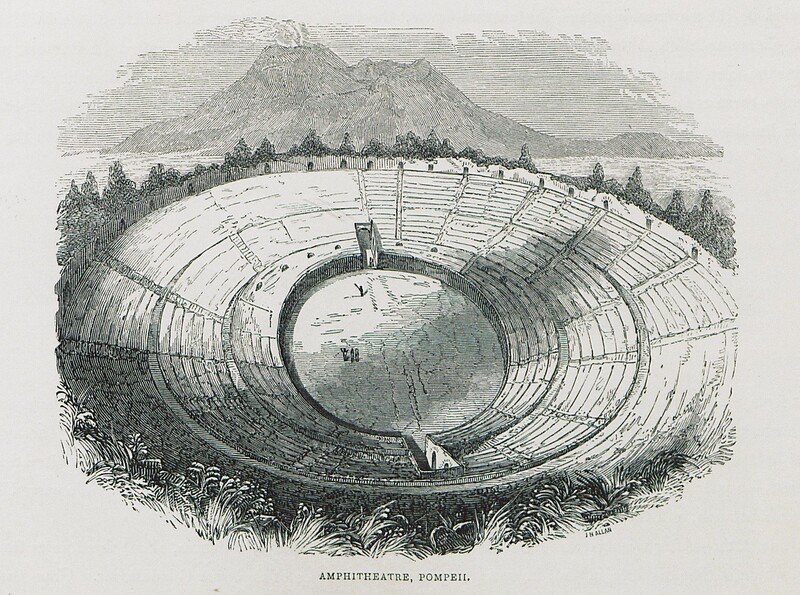 View of the amphitheater of Pompeii, Italy.